Datamaster Security has been a leading provider of ICT Security and Data Recovery Services for more than 30 years. Data Master Security respects the privacy of every individual who uses its services. This privacy statement provides notice of the standards and terms under which Data Master protects the privacy of information supplied by clients. This privacy statement provides notice of our information collection practices and of the ways in which your information may be used. This policy may change from time to time, so please check back periodically to review this information. Data Master typically receives specific data about its clients only when such information is provided voluntarily, such as when our clients request information, purchase or enrol for services, seek technical support assistance or send us e-mail. Of course, some of these activities require that you give us information, such as when you make a purchase, use a credit card or electronic payment service to pay for Data Master services, make a support request or request certain types of information. When you provide personally identifiable information to Data Master it will be used to fulfil your specific request. However, Data Master reserves the right, in its discretion, to send you updates and other important information about our services. Data Master will not sell, trade, or otherwise disclose your personally identifiable information unless we are authorized or legally required to do so, or in the case of imminent physical harm to any person. In general, Data Master gathers some generic information in the course of providing its services. Data Master gathers this information for the limited purpose of using that information to develop client applications. Data Master does not combine information collected in this way with any personally identifiable information. 4. Your access to our web site and third party sites. Notwithstanding the foregoing and in compliance with applicable laws, Data Master (i) cooperates fully with state, local, and federal officials in any investigation relating to any data (including personal or private electronic communications transmitted to Data Master) or purported unlawful activities of any user of Data Master Services, and (ii) takes reasonable measures to protect its proprietary rights. For the limited purposes of accomplishing such cooperation and measures and in compliance with applicable laws, Data Master may be required to disclose personally identifiable information. In addition, Data Master may elect to monitor the areas of communication of any kind (i) to satisfy any law, regulation, or government request; (ii) if such disclosure is necessary or appropriate to operate Data Master's business; or (iii) to protect the rights or property of Data Master or others. AS A MATERIAL CONDITION OF USING DATA MASTER'S SERVICES, CUSTOMER AND DATA MASTER AGREE THAT THE USE OF THESE SERVICES IS BOUND AND GOVERNED BY THE LAWS OF THE STATE OF QUEENSLAND AND OF AUSTRALIA, REGARDLESS OF WHERE CUSTOMER MAY RESIDE, ACCESS THE INTERNET, OR CONDUCT HIS, HER, OR ITS BUSINESS. If your personally identifiable information changes, or if you no longer desire our services, you may update it by e-mailing our Customer Support at techsupport@datamaster.com.au. 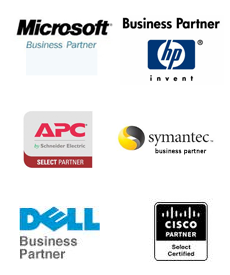 We use other third parties to provide various additional services for you. When you request additional services, we will share certain elements of the information you provide to us as necessary for the third party to provide that service. Copyright � 2012 Datamaster Security - All Rights Reserved.